Earlier this year, the Colorado General Assembly approved a bill that requires those who operate morotboats and sailboats on waters of the state to purchase an Aquatice Nuisance Species stamp annually. Cost is $25-$50 and will be available beginning Jan. 1. In order to keep destructive quagga and zebra mussels out of lakes and reservoirs in Colorado, boaters will help to provide crucial funding for the state’s Aquatic Nuisance Species Inspection Program starting in 2019. 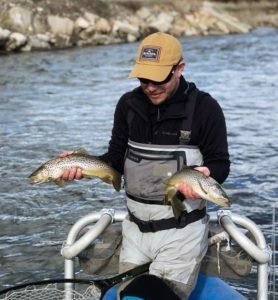 Earlier this year, the Colorado General Assembly approved a bill that requires those who operate motorboats and sailboats on waters of the state to purchase an Aquatic Nuisance Species stamp annually. The cost of the stamp for Colorado residents is $25. For boaters coming to Colorado from other states or provinces the stamp will cost $50. The stamp fee is separate from the annual boat registration permit but will be included in the cost of registration for in-state boats. The stamp and registration is currently available for residents at Colorado Parks and Wildlife offices and the agency website. 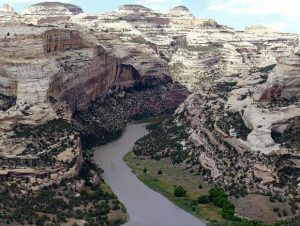 Boaters coming from other states can buy their stamp online, at Colorado Parks and Wildlife offices or at any sales location beginning Tuesday. Mussel infestations cause a variety of major problems. Because mussels consume plankton they disrupt the food web and out-compete sport fish and native fish. Mussels clog infrastructure, including reservoir dams, outlet structures and distribution systems that carry water for irrigation, municipal and industrial uses. Mussels also infest boats and damage engines. Mussels have caused billions of dollars in damage, especially in the upper Midwest and Lower Colorado River. Nearby states where mussel infestations exist include Utah, Arizona, Kansas, Nebraska, Texas and Oklahoma. 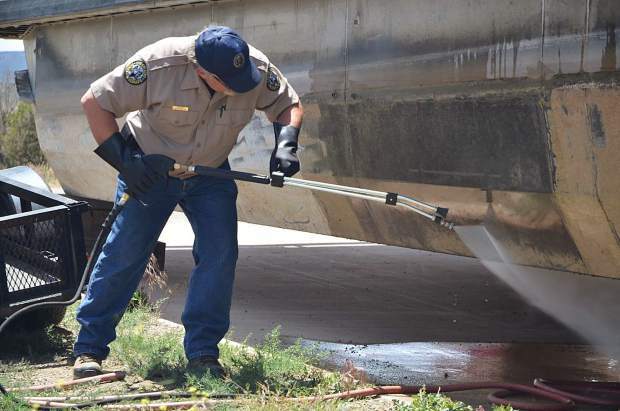 Since the ANS program started in Colorado in 2008, CPW staff and other entities have completed 4.4 million boat inspections, more than 90,000 boats have been subject to decontamination procedures and 195 vessels with confirmed mussel infestations have been intercepted and decontaminated. The threat of boats transporting mussels also appears to be growing: This year 51 boats with adult mussels were found at inspection stations, far more than the previous record of 26 boats in one year. The new fee will cover half of the cost of the inspection program. The remainder will be paid by CPW and a variety of stakeholders, including federal agencies, local governments, water providers and other partners. “We appreciate that Colorado boaters have been very cooperative with CPW on the ANS inspection program. And we all need to continue to be vigilant,” Brown said.